Respite will not come the way of motorists soon as Depot and Petroleum Products Marketers Association of Nigeria (DAPPMAN) warms up for a strike that will compound the present petrol crisis. The Association has given the federal government a 14-day ultimatum to settle a N650 billion debt owed its members. The money is the outstanding subsidy claims inherited by the government from the previous administration. The association warned that it would be forced to shut all its depots and disengage workers if the government failed to settle the debt within the period given. The Executive Secretary of the Association, Mr Olufemi Adewole, gave the 14-day ultimatum in a statement issued in Lagos. Adewole said members did not have any other option to solve the problem of increasing debt burdens of borrowing to pay staff than to immediately commence massive staff disengagement. ”This unfortunately will have a multiplier effect on the nationwide supply and distribution of petroleum products which presently is still a struggle,’’ he said. 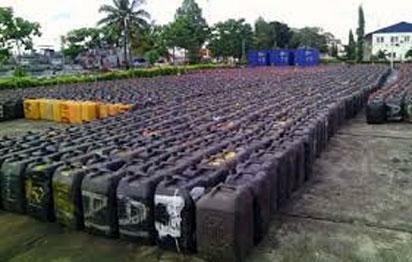 NCS intercepts 2,200 jerry cans of smuggled petrol. Adewole said that a letter was written to the presidency on Jan. 24, but government failed to respond to the plight of petroleum marketers, many of whom have become financially insolvent. ”In the light of the above and after exhausting all formal avenues to secure payment of these debts, we have given government notice to the likelihood of disengaging our personnel. ”The unfortunate primary fallout of this step is the likely shut down of all DAPPMAN depots nationwide due to lack of manpower to operate same pending the time the government will pay off its indebtedness to petroleum marketers. According to him, this letter serves as a reminder and an opportunity for government and its agencies to speedily approve and pay off its remaining subsidy era indebtedness to all the association’s members and all petroleum marketing companies. 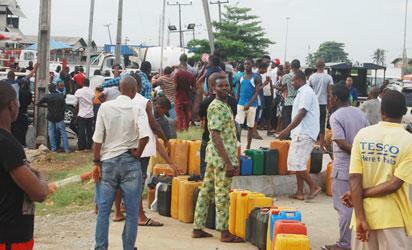 The post Petrol scarcity to linger over N650b debt appeared first on Vanguard News.